The Cobra is our most popular body style. This was the first Cobra I built. 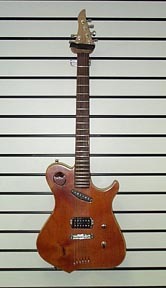 It has a knotty alder body with a transparent orange finish. The neck is maple with a Paduk fingerboard. It was the first neck I ever built. A great playing guitar with an awesome sound. Definitely one of my favorites. 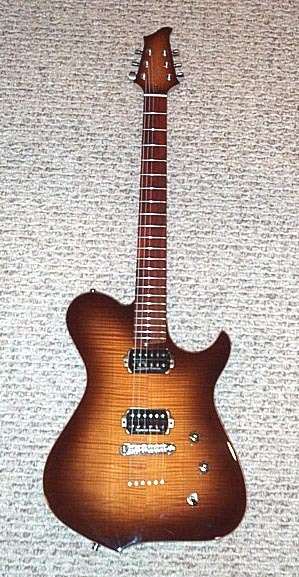 This Cobra XT has a Mahagony Body with a Burl Maple Top and Curly Ebony fingerboard. Owner Gary "Boz" Boswell in Park City, UT.